The unique setting on the historic Ashley River at Middleton Place Plantation and Gardens offers visitors a chance to explore some of the quietest waterways in the Charleston area. 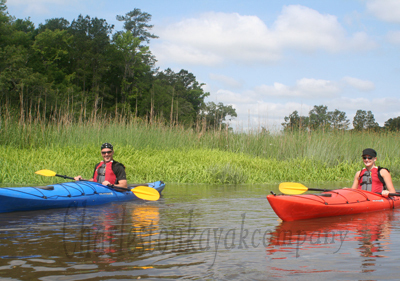 The Kayak center at Middleton Place provides naturalist guided kayak tours and kayak rentals daily. The calm brackish waters of the Ashley River Scenic Corridor offers a glimpse into the past as you paddle adjacent to abandoned rice fields and plantations dating back to the 1700s. Wading birds, eagles, osprey, bottlenose dolphin, American alligators, and Manatee are a few of the species of diverse wildlife seen on the river. 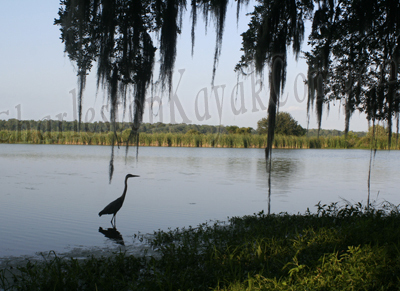 Come out just to kayak, or make a day of it visiting the gardens, historic home, and hiking the trails. 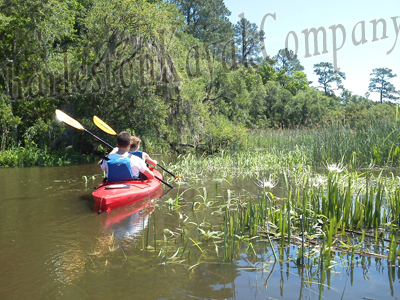 In the winter and spring months, enjoy a leisurely kayak tour through the mysterious waters of the blackwater cypress swamps . Private programs are available for families, corporate groups, weddings, and educational groups.